Here is the 5 Colours Dazzling Eye Shimmer Eyeshadow Palette for this Christmas. 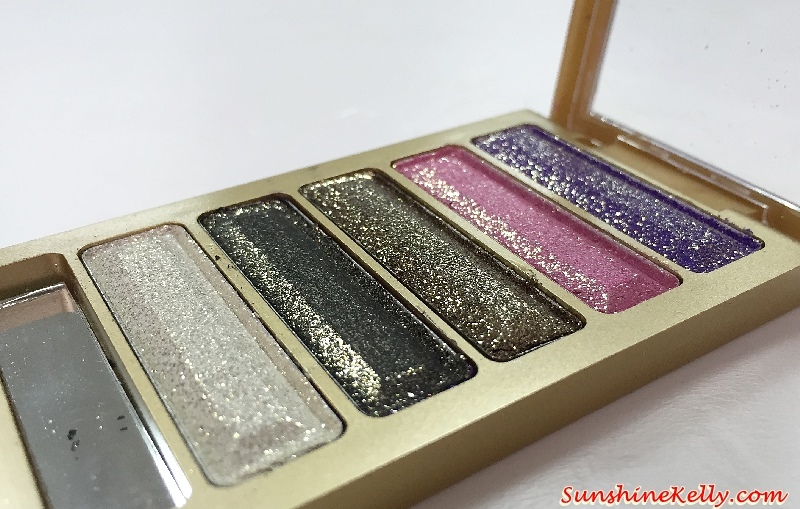 This palette is full of shimmering and sparkling colours. 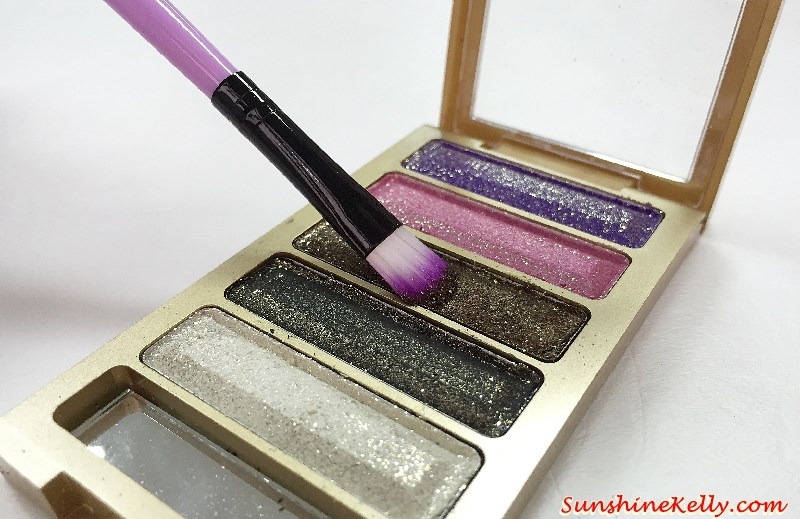 There are 6 palettes with different colours combinations, I choose this #02 because of the 3 neutral (white, black & brown) colours and 2 vibrant colours (pink & purple). The color payoff and pigment is low to moderate. It’s bit powdery and lasting effect is moderate only. The colours that I like are the brown and purple. 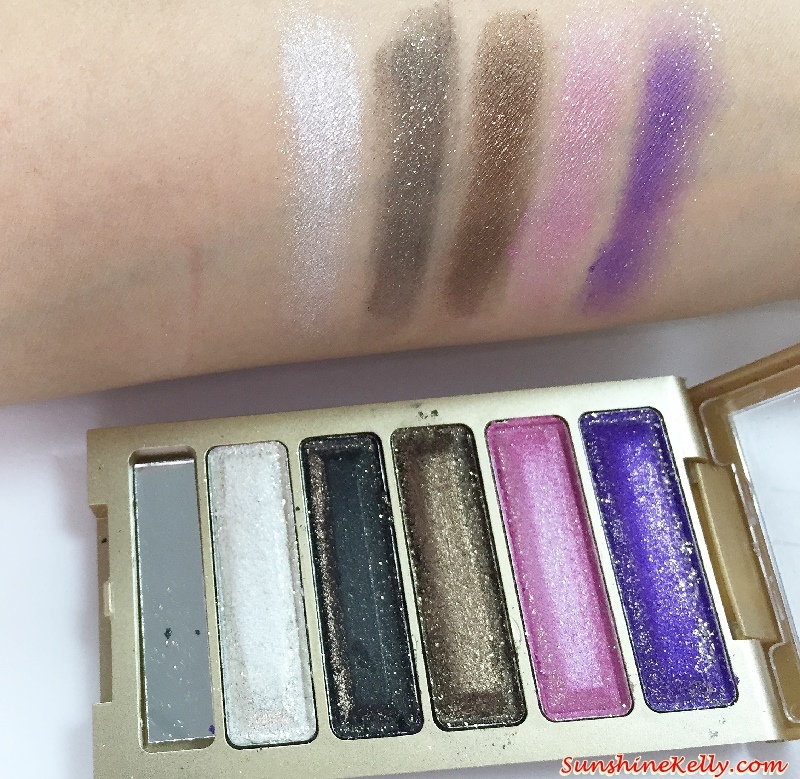 The colours on skin is lighter than what we see on the palette. 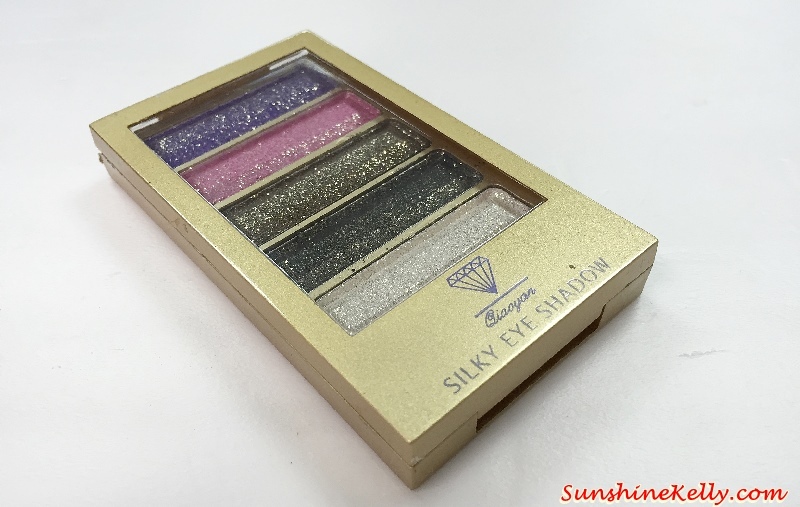 Overall the Dazzling Eye Shimmer Eyeshadow Palette is alright based on its price range at only USD2.99. Of course I can’t compare to those more than RM100 eye shadow palette. 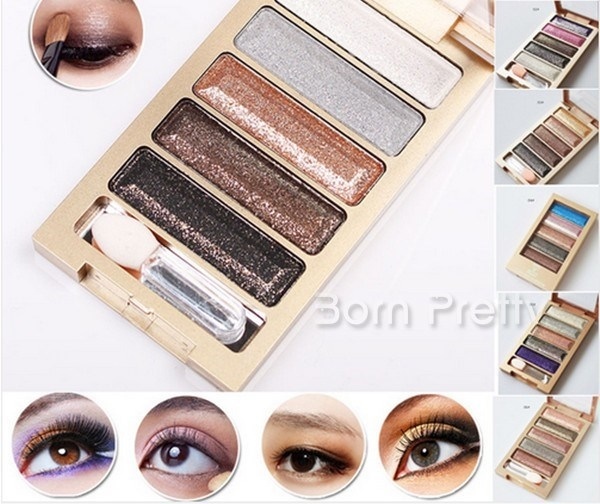 There are 6 palette available, I would suggest you to choose the darker combination such as #04 and #05 as the color turns out lighter than what we see on the palette.